Uncle Don, I will always remember your soft spoken southern drawl and your laughter. I’ll never forget the family reunion when you sang “Country Bumpkin” for us before it was ever heard on the radio! Even though you and Emily are my great uncle and aunt, I always felt closer to you than that. You were a kind and wonderful person and Dan and I will truly miss you until we meet again. Rest in Peace. To Don’s family – thank you for sharing him and his great talent with all of us. There couldn’t be a nicer person in the music industry. God give you peace at this time. Don was the finest man I have ever known and someone who I have been blessed to know. I admired Don for his songwriting ability but I admired him most for what a wonderful man he was. He has left a lasting impression on my life and I am better for knowing him. I love him and Emily with all my heart. I love you very much and i know this loss is a big one. You and Don were always my perfect love story. One only needed to be around the two of you for a short time to see the love and devotion between you. I always said when I found someone like that I would know it was forever. There is no doubt that he was a very talented man but my memories will always be the sweet southern gentleman who had one of the kindest hearts. Don’s calm manner and sincere voice could make any situation better. Emily, Dwayne and Donna, your are in my prayers and I love you all. One of the finest men,inside or out of country music, that I have ever known. While I’ve not seen Don in a good 25 years,I was privileged to have known him. My sincere condolences. Uncle Don was soft spoken and I never ever heard him say an unkind word about any person, no matter how much I ranted! He would just smile that gentle smile and say “Oh no now he/she is a good one”. 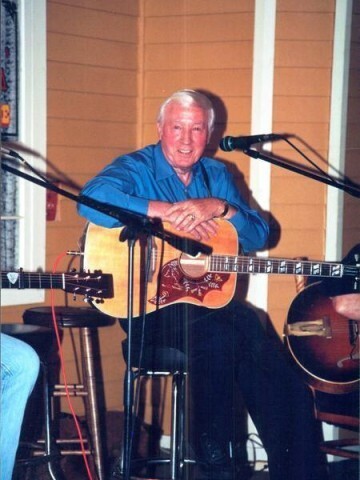 I will miss that gentle, sweet man and his love of music, but I know he is singing “She Talked a Lot About Texas” my favorite for Jesus right now. I worked with Mr. Choates daughter, Donna, and when I found out her dad had written “Country Bumpkin” and “Saginaw Michigan”, I was thrilled. Everytime I heard one of these on the radio on my desk, I would call Donna and then lay the phone down next to the radio so she could listen to it with me. Donna would tell her dad and one year, as a surprise for my birthday, he sent me two cassettes of him singing these songs and others he had written. That was the one of the nicest and most thoughtful gifts I’ve ever received. The world has lost not only a talented song writer but a kind and sweet man. I know he’ll be missed. My deepest condolences to all of his family. We will miss Don so much. We love you all and wish we could do something to help ease your pain. Our prayers are with you. Just want you to know that I am praying for you and thinking about you and family today. I remember Don entertaining at our class reunion, and it was so special. I do know that he was a blessed man to be married to you, Emily, for 56 years! We will pray for peace as you face this difficult time. Emily, please accept my deepest condolences. As you know, I was blessed to have been one of the Contry Bumpkin songwriters many years ago and Don was a wonderful friend and mentor during those days. His kindness to me and my daughter Penny meant more than he ever knew. We will certainly miss him. I never met Mr. Choate but am sorry that I did not. I am a ‘died in the wool’ country fan. One of my BsIL played w/ ET for 12 years, my best friend of 50+ yrs is married to a singer/songwriter and I baby sat Willie Nelson’s first 3 children in 1960-61; so I know a good bit about Country music, but never knew who wrote; ‘Country Bumpkin’ or ‘Saginaw Michigan’ although they are two of my favorites. I think that the fact that he stayed married to the same woman for 50+ years speaks volumes about the kind of man he was and I want to send Prayers and condolences out to his wife and all his family. May the Lord, in his infinite wisdom, wrap his loving arms around each of you and get you through this trying time. God Bless each of you is my prayer. My heart goes out to each of you as you grieve for the loss of Don. He was a special human being, and you can be sure that he will be missed by all of us who were honored to have him as a friend. He was a special person to me when I first started my career and I shall always remember how he treated me like I was going to be the next superstar in country music. He never forgot me when we had chances to meet at different functions. You are in my thoughts and prayers at this time. May God Bless and Keep You. I was so saddened by the loss of such a great man and amazing songwriter and poet. His kindness, gentleness, sweet smile and wonderful voice will be missed! “The Ridge” will certainly never be the same without him. You are all in my thoughts and prayers. God bless you and give you solace with all the love, laughter and good memories you shared. When there are no words to soften the pain May your spirit be touched by the love that surrounds you and slowly May the healing begin. Thanks for sharing your great talent with us all. We loved all your songs, my favorite was and is Country Bumpkin.